Make new friends on the train ride home across Tokyo. Take selfies to rack up points while trying (not) to annoy your cute fellow passengers. Reflect on the charming but fleeting faces around us. Who will you meet? A game in collaboration with musician Terrane. The game's soundtrack is also available! 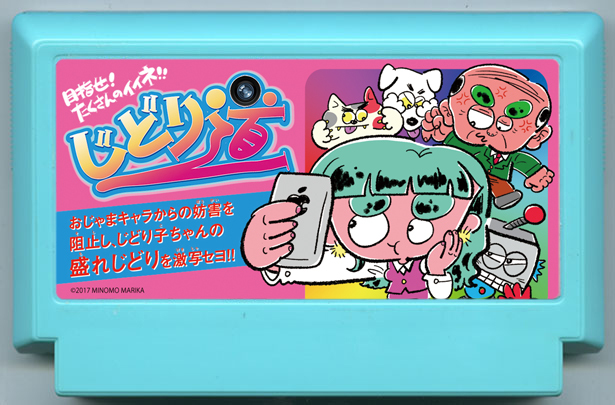 Originally created for the A Game By Its Cover jam (September 2017), inspired by this Famicase cartridge art by minomawari. I loooove it. Would never do that in the real life but I loved to annoy folks! oh wow, such a nice game!